I come from a family of besucones. In other words, I’m surrounded by those who love to give and receive tons of kisses. I’ve never been too much into it myself, that is, until my daughter was born almost four years ago and since then, I haven’t been able to stop showering her with kisses every chance I get. She’s a besucona too, so this has not been a problem. I still remember the first time she gave a “real” kiss and I can’t wait for her baby brother to follow suit. Francisco Delgado’s illustrations are vibrant and the kisses come to life as they are cleverly depicted as corazones—one of my daughter’s favorites, especially if they’re pink . When I read this book to Vanessa, she likes to take the time to count the hearts in both Spanish and English, like the true bilingüe that she is! Ha! If you’re looking to add a fun, bilingual book to your niño’s library which will also help them practice how to count in both languages, search no more! For a chance to win a copy, continue reading, but remember you can always get most of our finds in La Tiendita. This giveaway is now closed. Congratulations to our winner: #24 Gingerannbeck! 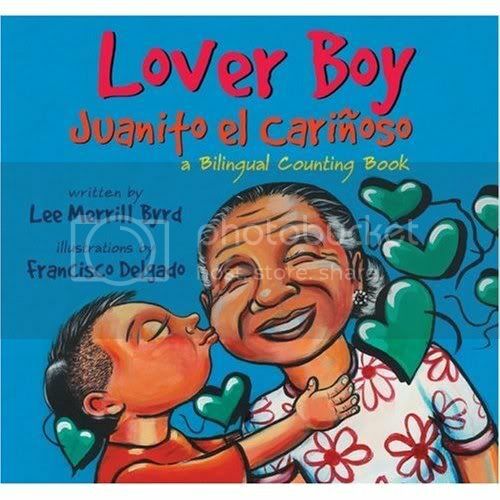 We’re giving away one copy of Lover Boy|Juanito el Cariñoso to a lucky winner. All you have to do is visit Cinco Puntos Press and tells us which book(s) you like. This giveaway ends Sunday, April 18 at midnight EST. Wow! What a great resource. thank you! “Charro Claus” made me laugh, as my 2 year old called him “Salsa Claus” this year, the first Christmas he could say his name. LOL. It looks like a ton of great books that I have not heard of. I look forward to checking out more of them and hopefully reading more reviews. We really loved AbeCedarios. The illustrations are gorgeous. We’re also going to checkout Charro Claus, Perfect Season for Dreaming and Cada Nino Every Child. Great site. We love both of Cynthia Weill’s books, Abecedario and Opuestos. Such cool animals! And Juanito el cariñoso sounds like a great one, too! We have checked out the Abecedario book from the library and I highly recommend it. .-= Adriana´s last blog ..How to Train Your Dragon =-. Sounds like a lovely book for our bilingual children. I’m from a non-kissing type of background and I love seeing my son enjoying all his kissing relatives. 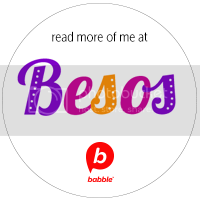 When my oldest daughter was about 18 mths she said to me “Too Much-es Besos, Mama!” It was the first time it ever occured to me I was kissing on her too much! Looks like a super cute book! I really like the Opuestos book. We are learning about Opposites right now so that is great! I would love to read El Ratoncito Pequeño to Jeremiah and Audrey! .-= Marcela´s last blog ..toma leche y amigas =-. 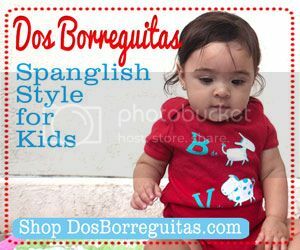 Great resource for our sons who love books; I especially loved the beautiful art of the Abecedario. I will recommend this site to friends. Thanks! We own La Festival de las Calaveras and love it around Halloween/Dia de los Muertos. I love everything by Joe Hayes, and No Way Jose is my favorite. The illustrations are fantastic, and each story makes a great read aloud!! .-= Silvia´s last blog ..Develación de la Nueva Imagen de "Que Rica Vida" / "Que Rica Vida" New Webpage Reveal Celebration =-. Tell me a cuento and Nico look interesting. Thanks for the giveaway! 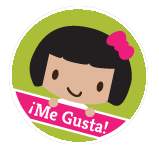 .-= Tati´s last blog ..Yoga in Spanish for Children- Review & Giveaway =-. I thought Dance, Nana, Dance looked interesting. .-= Gingerannbeck´s last blog ..Peep and the Big Wide World Giveaway =-. The book you’re giving away looks great plus we like the drawings in Opuestos. And maybe we’ll check out Pajaro Verde…anything with animals and my kids are interested. .-= Susan´s last blog ..Surprise! =-. The book you’re giving away looks adorable! I also would love to read A Perfect Season for Dreaming. Thanks for the great giveaway! 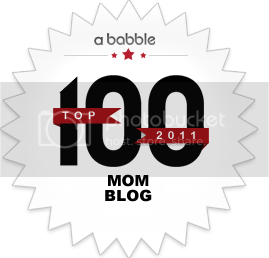 .-= Stacy´s last blog ..Stamping Sight Words & Hidden Sight Words =-.